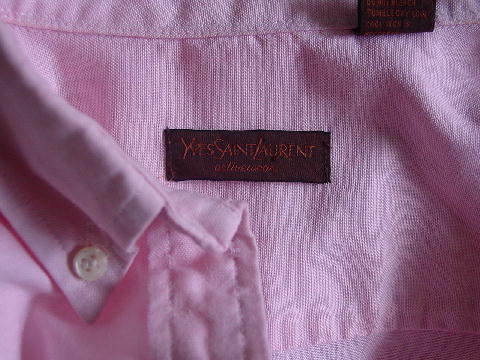 This baby pink 70% cotton and 30% polyester long sleeve shirt was made in Hong Kong by Yves Saint Laurent Activewear. The 2 1/4" wide cuffs have an iridescent one button on each. 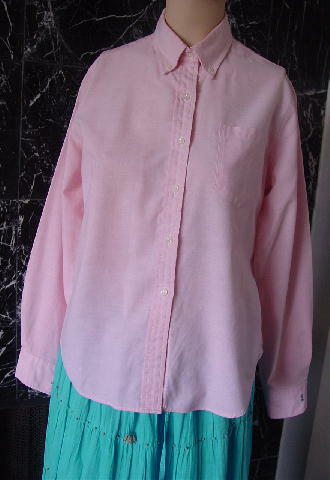 It has an open breast pocket, six buttons down the front, and a button-down collar. 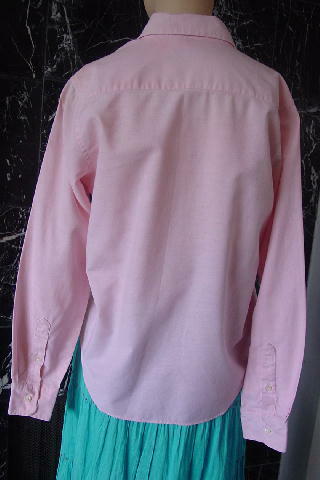 The rounded shirttails are 1 1/4" longer in the back than the front. 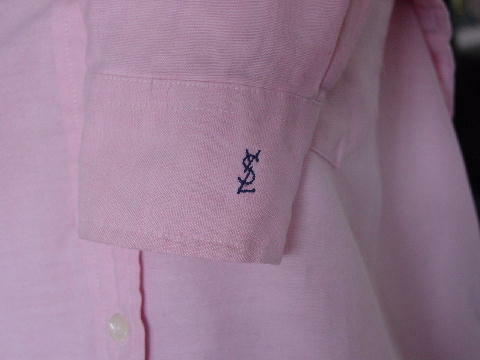 The right sleeve cuff has a black embroidered YSL on it. 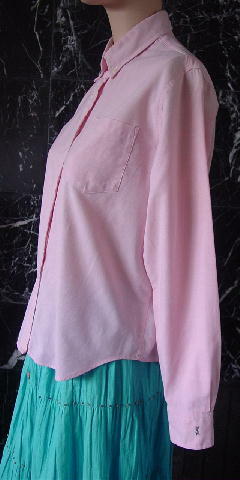 To the right of the 4th button the thread stitching is loose (1/4"), but when the shirt is buttoned, it is not visible. The tag says 11/12, but it fits like a size S.
shoulder to bottom side hem 19 1/4"
shoulder to bottom front center hem 20 1/2"